The trio of new releases in July 2017 for Flintloque is complete with the excellent 51048 Elf Vivandiere. A female entrepreneur who follows the Ferach Armee selling wine and other sundries to the blue coated troops. Click through to see more and to download a free Uniformation article with rules for Vivandiere in Flintloque and Slaughterloo. 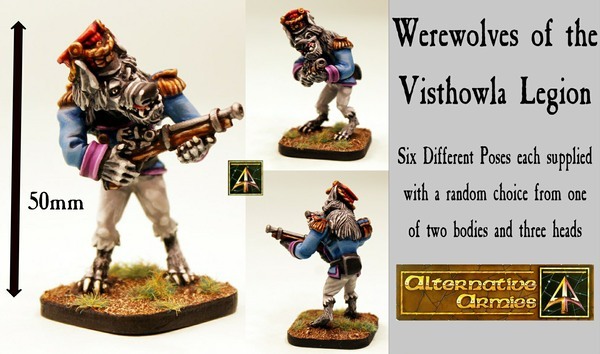 Also if you missed earlier this month the mighty Visthowla Legion and the Elf Corpse Pile then check those out too plus the second blog article by Andy Jefcoate about his playing of the game using 5024 Escape from the Dark Czar our beginners box set for Flintloque. 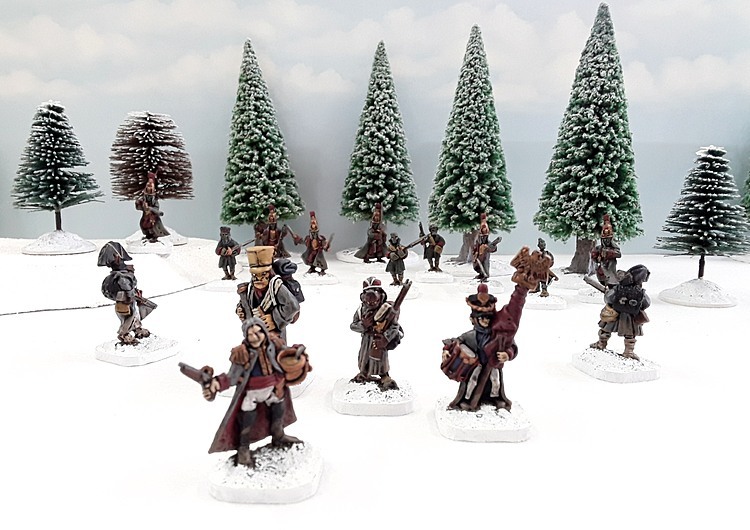 Continue the Flintloque journey of Andy in this second instalment of his expanding hobby with the Dark Czar beginners set. New Dogmen and more are on the scene... but what is going on? Read on for the article. The Visthowla Legion is here! For Flintloque and Slaughterloo the big werewolves of the Dutchy of Coltz. Six variants each partially modular with head and body options in 28mm scale. Sculpted by Sam Croes each one stands about 45mm tall. Choose from singles or a skirmish set or even a whole unit with a saving. 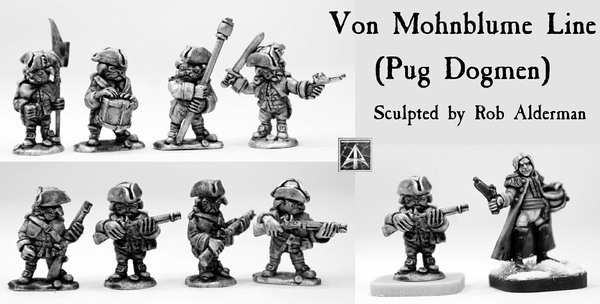 Click through to see more and also to download a free Uniformation article giving rules and statistics for these mighty soldiers in our game systems. I want to also thank all those who took us up on the pre-order offer over the last week. All packages are on their way. 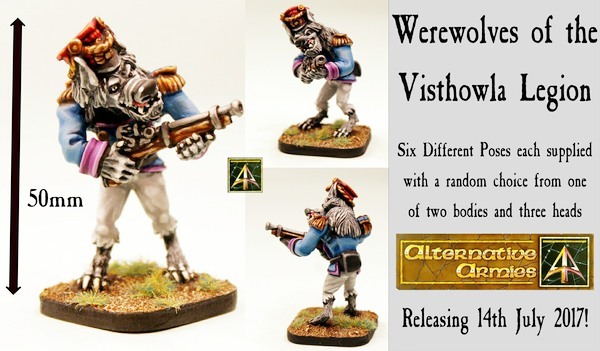 The brand new big werewolves of the Visthowla Legion will be released on the 14th July 2017 for Flintloque and Slaughterloo. We are giving you the chance to pre-order them as singles, a skirmish pack and a unit (with an even bigger saving as usual with units) at 15% off release print until then! Sculpted by Sam Croes. Partially modular and posable there are six different werewolf kits with different bodies and heads. Standing 45mm to 50mm tall. Read and see more by clicking through. Thanks and if you like the notion of saving with a week long pre-order before general release we will do it again!